Radar detectors are used by drivers to detect speed before they get caught by the police for over speeding. It uses a superheterodyne technology-powered receiver to identify electromagnetic emissions from radar guns, which then raises the alarm. Such alarms notify the driver that transmission is indeed detected. With all these information, how do we choose the best affordable radar detector, then? Radar detectors are smart and useful gadgets that do not come cheap. But no matter how intelligent these devices are, there may be cases where false alarms happen due to various reasons, including door openers that are automatic which are usually found in speed signs, malls, and adaptive automotive cruise controls usually operating in the electromagnetic spectrum of the same part as radar guns. 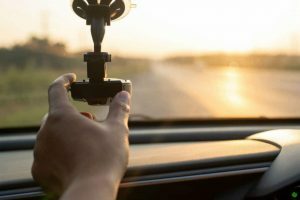 Over the years, some radar detectors have come to be equipped with GPS technology, which allows the users to store locations manually. The detector will then sound an alarm when moving toward that particular location—this is done by pushing a button and does not need coordinates to be entered. It also allows the users to store the coordinates of frequent-false-alarm sites manually, which the GPS-enabled detector naturally ignores. Another feature of a radar detector is its ability to stifle alerts when traveling below a set speed, limiting not needed alerts. This lessens the risk of inaccurate radar detection, which could only do more harm than good. 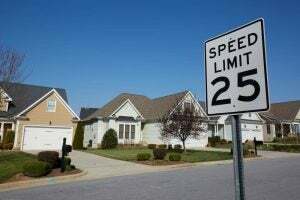 Some radar detectors work with GPS to coordinate red-light and speed monitoring cameras that can be found on the Internet, giving an alert to the driver that they are moving toward the camera. It has an original high-performance ANW radar. The very-fast sweep circuitry and Extreme Range Superheterodyne technology give the best-advanced warning possible and extra detection range even on the most speedy radar guns. 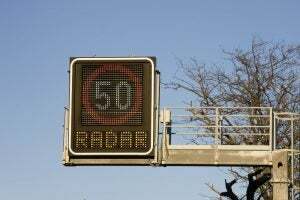 It provides the driver with extra time to adjust the speed limit without being caught. It has a voice annunciation that is crystal clear. Clear communication will be easier to understand without distracting the driver from the road. Menu options and alerts are much clearer to hear making it an advantage to the user as well. It has Ultra Bright LED Display. Its complex algorithms and intelligent servers provide accurate information. You will then be informed of the threat through clear symbols of engaged modes and alerts detected. With a crystal clear voice, the D7 will give you an alert as you are about to reach a radar source. The LED icon display shows the band of radar used on you, which then shows the strength of the signal ranked from one to nine. It has a Dim Mode. It lessens the use of light when you drive at night so it won’t be disturbing to the sight. The Dim Mode also enhances the visibility when night driving. You can even set it up to remember the settings of the radar detector even without the power. It has Mute and Auto-mute functions. During encounters with a long radar, this function reduces the volume level during alerts. It is lightweight and won’t take much space when placed inside the car. It weighs approximately 10 ounces and measures 50 x 31.2 x 10.8 inches. It has an Ultra Compact Design with an enhanced range for high performance with refined style. The color black also goes well with any style. 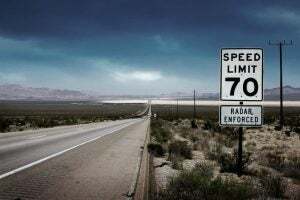 The 16 band radar or laser detectors with extreme range superheterodyne technology is a guarantee of accurate detection, unlike those that will catch you off guard by hidden speed traps or pesky speed cameras. This will also let you enjoy safety and pleasure drive. This safety feature makes this device among your promising bets in the best affordable radar detector. The cable wires may be too short for some cars. Most cars vary from their inside design. 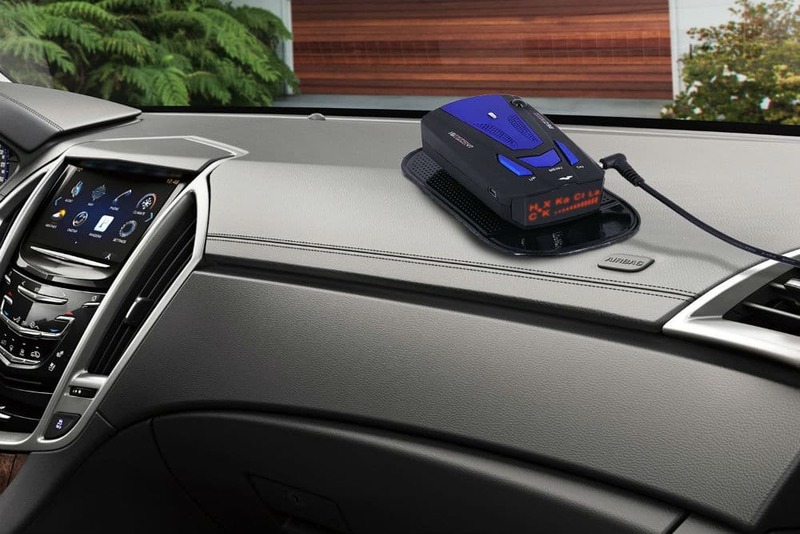 The radar detector is usually plugged into the car socket which has different distances from where the radar detector should be positioned—making it impossible to connect the short cable wires to the socket. The product may not be compatible with the model of the car. It may not function in some cars especially the ones with older models. It can easily detect any mobile or stable Radio Speed Monitor about 250 to 2500 meters ahead. The digital signal with voiced announcements and Advanced AutoScan processing help you to manage the speed to guarantee safe driving. No wonder it made its way to the list of the best affordable radar detectors on the market today. It provides an extra detection range that enables it to give an advanced warning even to the fastest radar guns. The laser detection technology that covers 360 degrees detects all sides from Rear, Front, and Sides. Digital Display and Voice Alert. It is equipped with an icon color display that has a numeric signal strength display, and the digital voice announcement helps the driver to focus on the road. There are no long cable wires that need to be compacted. No need for wire organizers as this detector's wire is just enough for moderate use. There is no dim mode feature. The light it produces during night driving can cause a distraction for the driver. Equipped with Four Ultrasonic Sensors installed at the rear bumper of the car, advanced chipset, and dual CPU for enhanced detection and coverage. Equipped with BiBi Sound Reminder and Colored LED digital display. Comes in three colors; yellow, green, and red, which shows the gap between the obstacle and the car. Made from premium quality materials to ensure the durability and longevity. Compared to other radar systems, it is a bit heavier. It weighs 1.05 pounds which add more weight to the body. Among the products enlisted above, the Crislan D7 High-Performance Laser Radar Detector with LED Display found its way to the top. Most of its features are user-friendly. Intelligent and safe, its price is definitely a steal. Moreover, driving with this product will be much better since you will be guided accordingly by this radar detector system.